Mourgue began designing furniture in 1962, while continuing to be a prolific artist. Never openly seeking publicity, this artist has always prized artistic integrity above commercial achievement. Lauded for his modern yet timeless style, Mourgue’s product designs for both home and office illustrate his belief that utility and fine art need not be exclusive. Pascal Mourgue became renowned for collaborations with internationally known brands such as Cartier, Baccarat and Knoll. 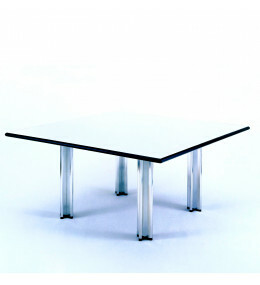 Pascal Meeting Table is ideal for any room; from open-plan landscapes to executive offices.